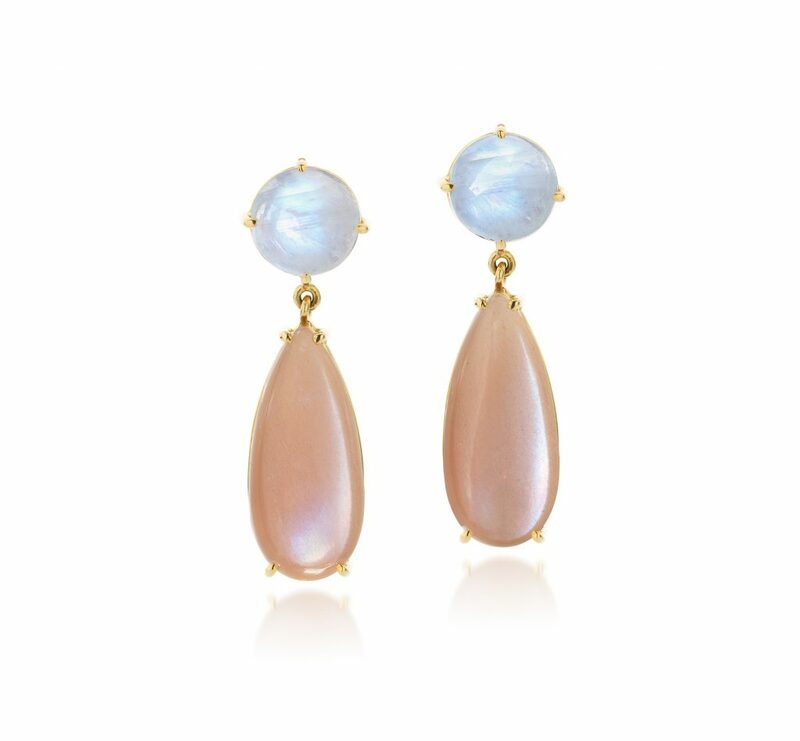 14 carat yellow gold earrings with white and dark pink moonstone, both with a blue glow giving them a special shine in the sun. 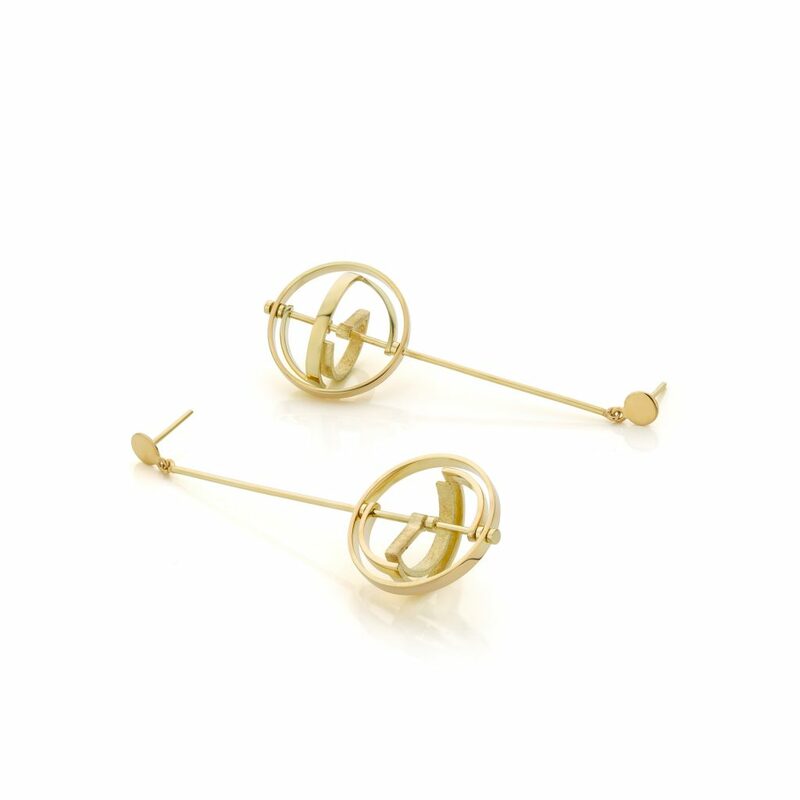 14 carat yellow gold earrings that give their own twist to life, because all parts run separately. 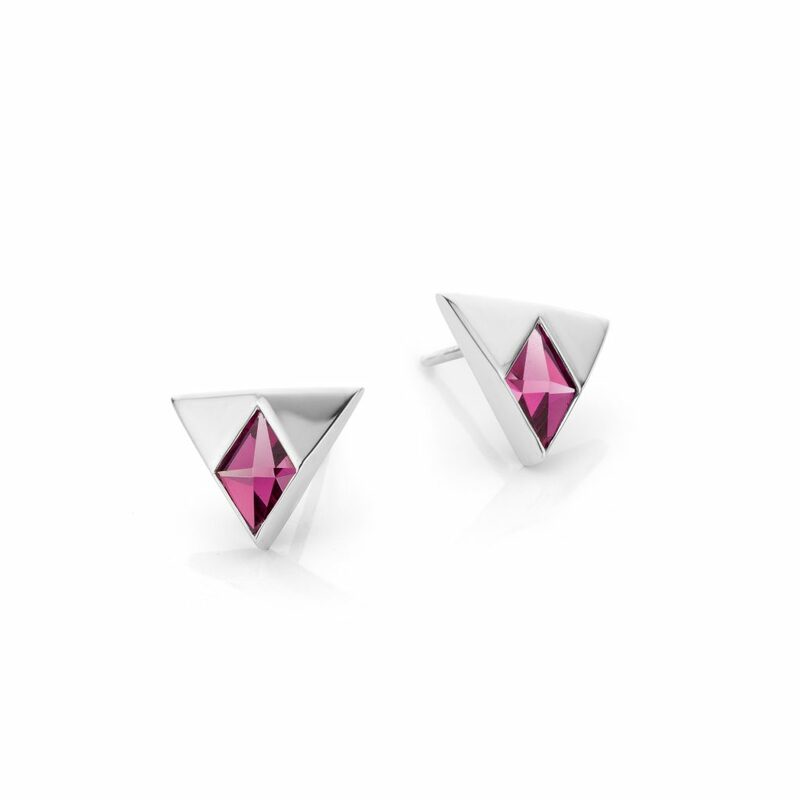 Ear studs in 14 carat white gold with rhodolite garnet. 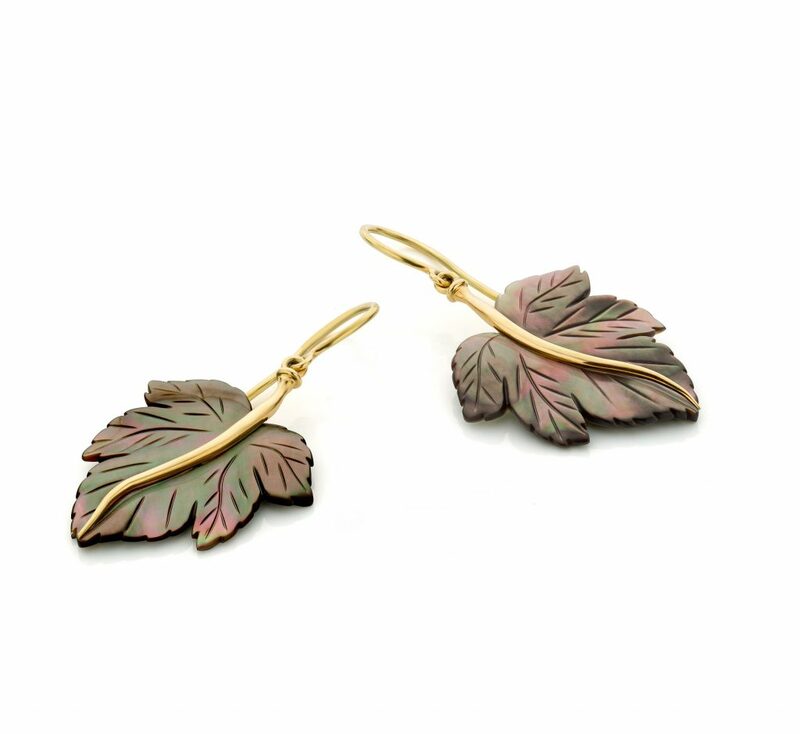 Mother-of-pearl leaves with 14 carat yellow gold in which almost all autumn colours radiate.